Innumerable Shops at prime locations in all the major cities of United Kingdom. The shops sell tickets and employ locals who posses a wealth of local knowledge. An Internet ticketing division. 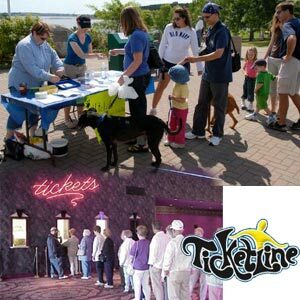 This mammoth online facility of ticketline was started in March 2000 and offers real-time secure booking. This World Wide Web facility is in its infancy and Ticketline has plans to enhance it by using cutting edge technology and making it more secure, faster, user friendly, robust and stable. Ticket line Cardiff also has a state of the art call center at all the prime locations in the major cities of United Kingdom. It helps callers enquire as to what's going on locally and nationally. Even though Ticketline Cardiff has grown and branched out its scope of operation in the past few years, they continue to offer tickets and information for the widest spectrum of events, irrespective of location or size. Ticketline has provided the people of United Kingdom with the key to a world of entertainment.